The long school holiday break is fast approaching. Have you thought about what you might do with the kids over the summer? 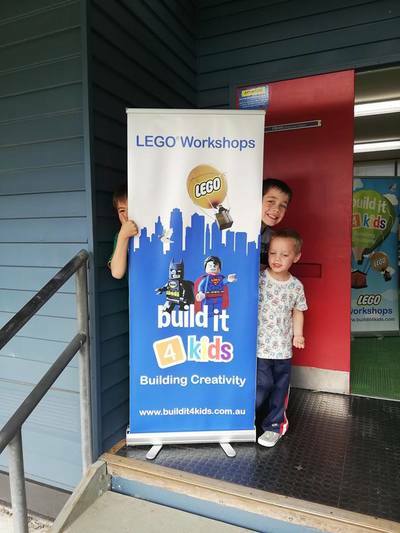 You'll be pleased to hear the Build it 4 kids team will return for another LEGO themed workshop program for the summer school holidays. 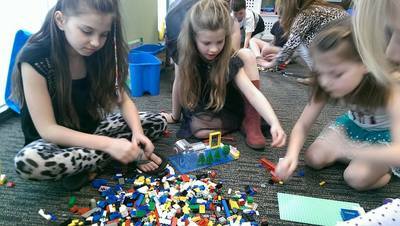 Build it 4 kids classes involve science, technology, maths and plenty of creativity. Children (age 6 - 12yrs) use instructional manuals to build sets, but also create their very own models under the guidance of the Build it 4 kids team. Over the course of the afternoon (or day), your children will learn, create and most importantly, have fun with like-minded builders. Full-day classes begin at 9am and finish at 3pm. Half-day classes begin at 1 and end at 4pm. 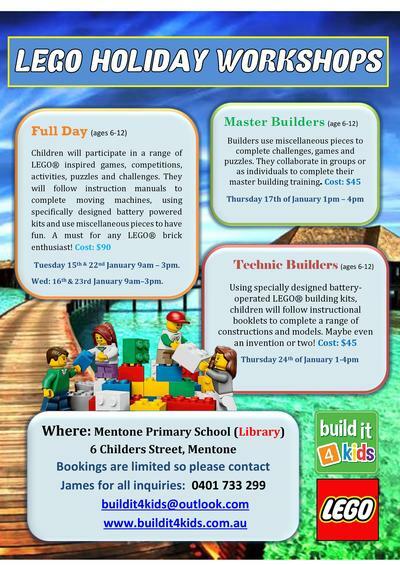 All Build it 4 kids workshops take place in the library at Mentone Primary School. BYO lunch/snack and water bottle. Tuesday 15 January. 9am - 3pm. Wednesday 16 January. 9am - 3pm. Tuesday 22 January. 9am - 3pm. Wednesday 23 January. 9am - 3pm. Thursday 17 January. 1 - 4pm. Thursday 24 January. 1 - 4pm. 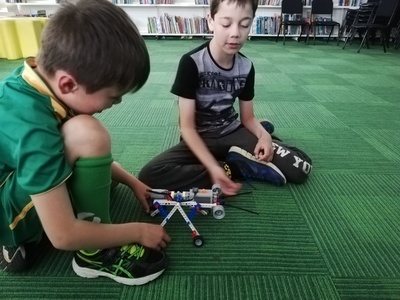 Book your child a place onto the Summer 2019 Build It 4 Kids School Holiday Program by contacting James on 0401 733 299 or email yerondais33 (AT) hotmail.com. Age suitability: 6 - 12 years. Book ASAP. Spaces fill up really quickly. We wouldn't want your child to miss out!